New Delhi: The Election Commission of India today held a meeting here with all recognised National and State Political parties today to discuss some of the important issues linked to electoral reforms and conduct of elections. All the 6 National Parties, 29 State Parties attended the meeting. The agenda included the use of totaliser for counting of votes on electronic voiting machines (EVMs) which enables taking out results from a group of EVMs as against counting on individual EVMs used at individual polling stations. The advantage of using totaliser is that the voting pattern in particular polling stations will not be revealed as the results displayed through totaliser would be the results of the votes polled in a group of polling stations. A demonstration of the functioning of totaliser was also given before the representatives of the political parties. 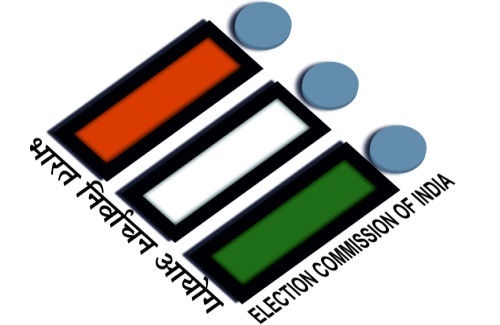 In a multi-phased election, the need/desirability of considering any prohibition on telecast of election campaign activities of a subsequent phase when one phase is within the period of the last 48 hours before poll when open campaigning and display of election matter on electronic media is prohibited under section 126 of Representation of People Act 1951. Amendment of the format of Affidavit for candidates to include a column for declaration of the source of income of the candidate. The need to continue the practice of allowing candidates or the parties near the polling stations on the day of poll considering that the voter slips are now distributed by the election machinery. The need to maintain high standards in election campaign related speeches and discourse. Increasing the security deposit amount for candidates. The views of the representatives of different parties will be considered for implementation by the Commission, an official statement here said.